Choosing the right topic or problem for your thesis paper is an important component of success, so start thinking early on what you want to write about. Your main goal is to find a really good problem you can research or even solve. Do not hesitate to consult your supervisor or the thesis coordinator and ask them for professional advice. Since a thesis is a very long project based on your own ideas and research, you need to thoroughly plan its every stage. If you leave things to the last moment, you will fail. What you really need is to create a timetable and stick to it as much as possible. This will save your time and help you organize the work properly. Obviously, if you want to write a logical and effective thesis paper, you need to create an outline. It will show you the right direction and the next step to make. Consult your supervisor regarding the structure of your thesis, as there are several possible variations, and include all the required sections in your outline. A thesis paper is the most important academic paper and needs to be written in good academic English and appropriate academic style. Therefore, avoid using any slang, contractions, colloquialisms, etc. However, it doesn’t mean that you need to use complex words from an over-formal vocabulary. Everything you write should be clear and understandable to the reader. If you don’t want your work to be considered plagiarism, you need to properly cite every source you use. Stick to the required referencing style and strictly follow it. It can be a rather challenging task, but there are many guides and tips available online that can help you with that. Remember, extensive and proper referencing indicates a correct approach to writing a thesis paper. Wait at least a day after your thesis is complete and then edit and proofread it. Check your writing for style, structure, lexical coherence, unity, readability, grammar, spelling, and punctuation. Do not hesitate to ask your friend or family member to proofread your paper once again. If you are satisfied with your work, you are ready to submit your thesis. If not, go back to the part you don’t like and revise it. Besides, you can always hire a professional editor who will help you polish your paper to perfection. Good luck! I remember thesis writing being soooooo stressful when I did my Masters. Wish I had this list to consult back then! I can honestly say #4 is one of the most important tips - no one really considers how difficult and somewhat unnatural academic writing is, so I highly recommend that students who are writing their thesis go and read academic writing guide books. Also, one huge tip that I can add: be in constant contact with your supervisor! If in doubt, ask them for guidance and help - that's what they're there for! 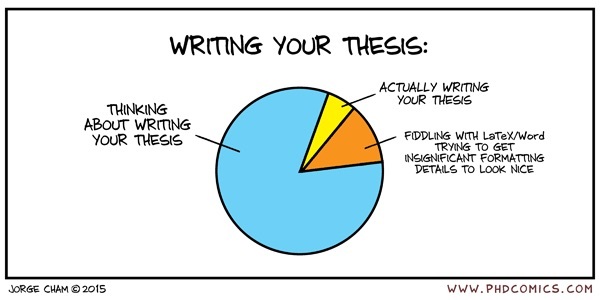 Your tips are really helpful for a good thesis writing. A strong thesis statement gives direction to the paper and limits what you need to write about. 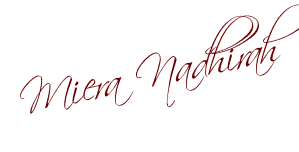 Find Professional Paper Professional Paper Writing Services USA. Writer need to follow or have more knowledge about every things. You talk about thesis writing. First you talk about choosing the topic then you talk the research. I most give importance the research. I want to read more about essay editor info. This is one of the best posts I came across up to now. I subscribed to your Feed incidentally! Thanks, this is very cool!